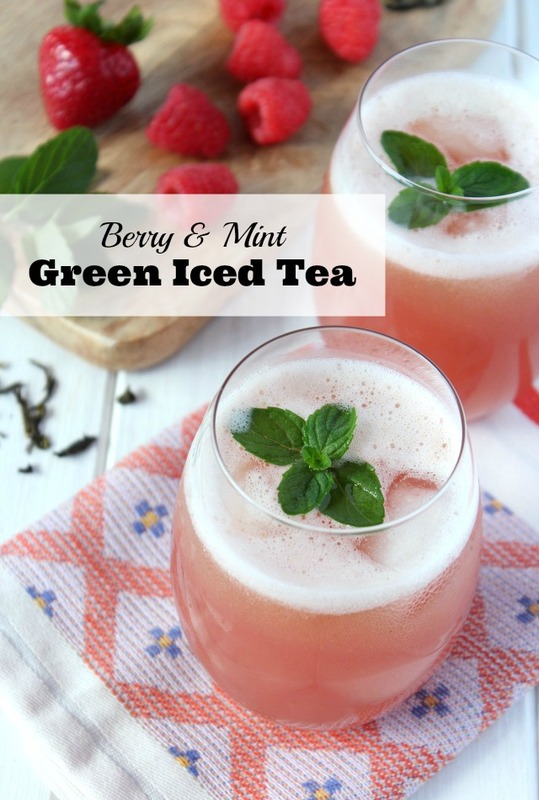 Summer calls for refreshing and healthy drinks like this berry and mint green iced tea! No one can argue with that, right? Once it turns hot, I make it a habit of whipping up a jug of iced tea every morning. Not that powdered stuff you buy in a can at the grocery store that’s filled with all kinds of sugar and who knows what else, no way! I’m talking freshly brewed tea infused with fruit, herbs or even vegetables. Sure, it takes a bit longer than dumping crystals into water, but you’ll have the peace of mind knowing your family is consuming a beverage filled with really good stuff. We all know how many glasses they can pound back on a scorcher day! Water is great, but it doesn’t always cut it. 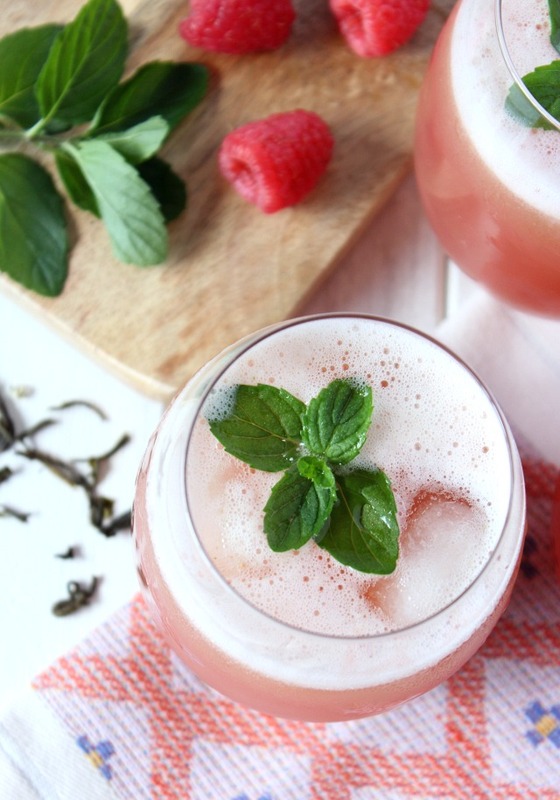 This cold green tea recipe is a little more on the frothy side since it’s blended with raspberries, strawberries and fresh mint. In a way it doubles as a snack. As an option, pour it into some popsicle molds and you’ll have an icy treat the kids will surely love! Some links are affiliates. Check out my blog policies. Pour through a strainer into a pitcher or large jar. Chill in fridge for at least one hour. Before serving, give it a quick stir as there may be some settling. Pour over ice and garnish with mint. Select a green tea variety or blend that’s lower in caffeine if you’re serving to kids or want to cut back. For the honey, I like to use organic wildflower but you can play around with different flavours. Add vodka, tequila or rum for a refreshing cocktail version that’s perfect for summer entertaining. 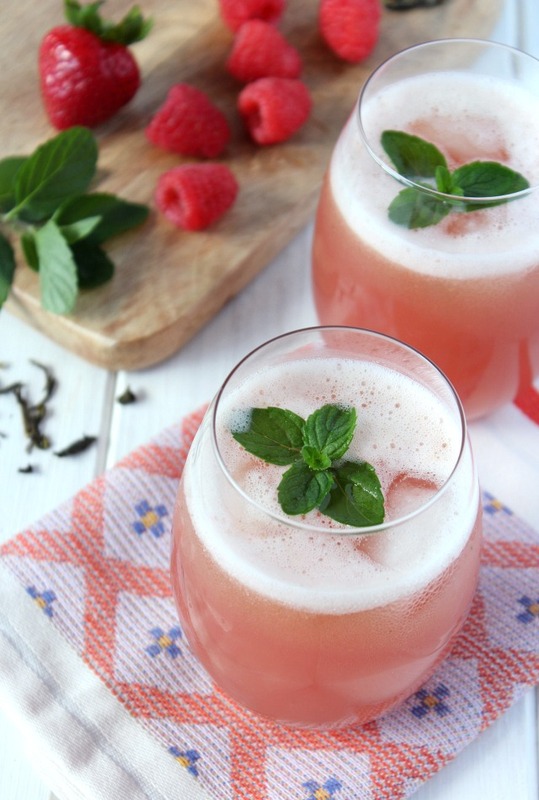 A refreshing and healthy green iced tea recipe made with raspberries, strawberries and fresh mint. Select a green tea variety or blend that's lower in caffeine if you're serving to kids or want to cut back. For the honey, I like to use organic wildflower but you can play around with different flavours. 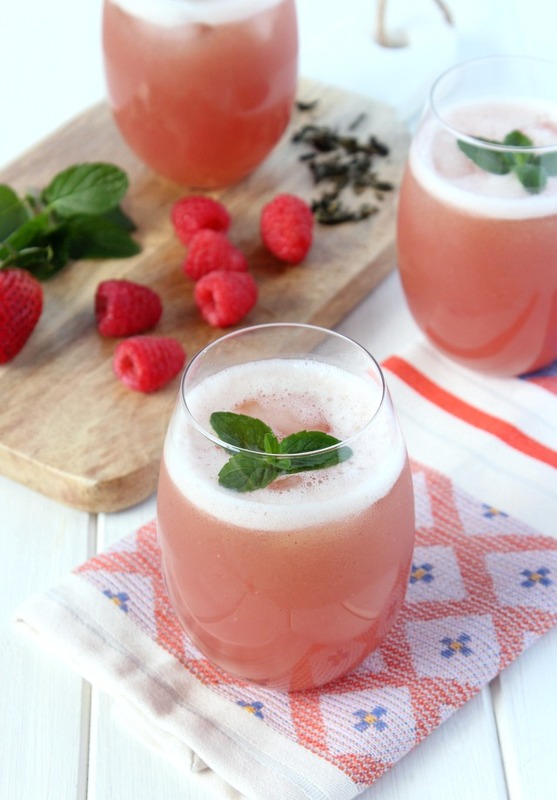 Have a favourite iced tea recipe? I’m always looking for something new to try, so let me know in the comments. Click here for more refreshing summer drink ideas! Looks fantastic and just the thing to do with the mint from my garden. Oh Shauna, this looks/sounds glorious and super refreshing. 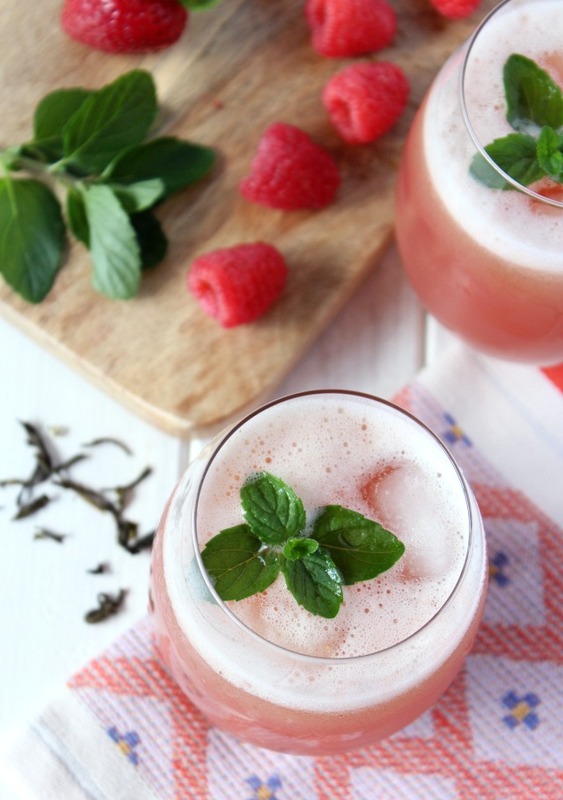 Berries + mint—gonna have to try this! This looks so beautiful and refreshing! I love how healthy this compared to using an iced tea mix…the extra effort is SO worth it! What a terrific idea. My daughter loves green tea and also strawberry lemonade – this seems like a great combo of both ideas. Saying him from the SITS link up! Happy Thursday.